Redington Chromer Spey Outfit Free Shipping World Wide. The Chromer Spey Outfit is so named because is is the perfect outfit with which to learn to catch chromer steelhead. At the heart of this great combo is the Redington Chromer rod,.This 13-foot 6-inch, 7-weight rod is the perfect size for most steelhead throughout their range. Coupled to it is the Redington Behemoth reel, another long term proven player. The 525-grain RIO Skagit Max shooting head and Scientific Anglers Monocore shooting line are proven. A FFS Spey Swivel Gen-2 is added to this grea line system to eliminate twist. If you show up in class with this outfit, any instructor worth his salt will instantly recognize it and approve of your choice. Other outfitters claim their Spey Combos are ready to fish, but they don't include the leader and flies. How you gonna' fish without leader and flies? 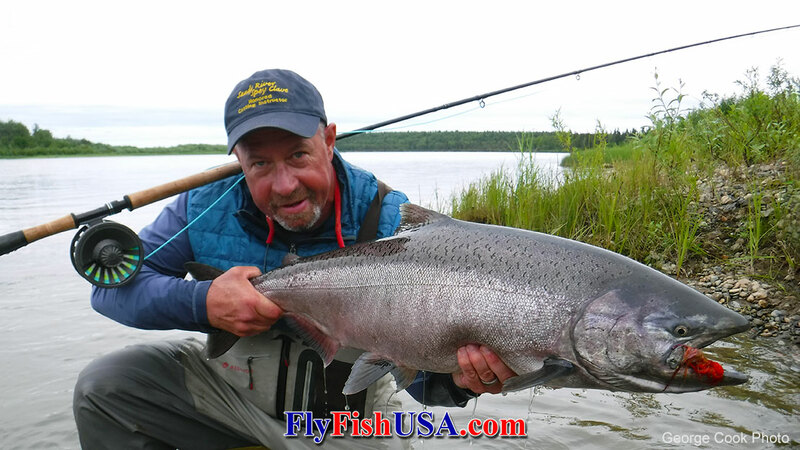 Well at The Fly Fishing Shop/FlyFishUSA, we make sure that you are better prepared to go fishing. To get even more prepared, check out these Steelhead Spey Schools!